Morocco’s leadership in renewable energy received a strong jolt of support this past week with the announcement of a finalist for 850MW of wind-power projects to be awarded to an international consortium headed by NAREVA, a Moroccan energy company. Upon signing of the contract, still to be finalized, the consortium will develop, design, finance, construct, operate and maintain five wind projects: a 150MW facility in Midelt, 100MW in Tanger and 200MW in Jbel Lahdid in northern Morocco, and 300MW at Tiskrad and 100MW in Boujdour in the south. The preferred bidder status award was made by ONEE, the Moroccan Office National de l’Electricité et de l’Eau Potable, to the consortium which includes Nareva as well as Enel Green Power (EGP) and Siemens Wind Power. Total investment is estimated at around $1.1 billion. The overall project requires creating two financial vehicles to guarantee the deliverables at a reasonable cost to Morocco. EGP and Nareva will create limited liability companies called “special purpose vehicles” for each of the five sites to insulate the project from any financial issues of the parent company. In addition, the project was conceived under the Power Purchasing Agreement (PPA) passed into law in 2013 that enables companies to pursue power projects based on an agreed purchase price by the government, amounting to a sovereign guarantee for projects that are financially sound and efficiently operated. The agreement with ONEE runs for 20 years on the facilities that will come online between 2016 and 2020. These target dates fit within Morocco’s current goal of 42% power from renewables by 2020, which was projected by King Mohammed VI at COP21 to be 52% by 2030. Separately, Siemens agreed to build a rotor blade factory at an investment of more than $110 million that will result in up to 700 jobs in a factory to be located in Tanger. The facility will serve African, Middle Eastern, and European wind markets upon completion in spring 2017. Siemens has had a permanent presence in Morocco since 1956 and has already been involved in several major renewable energy projects, including the 300-MW Tarfaya wind farm project. With additional investment opportunities identified in hydropower, biomass, and even nuclear power, Morocco is well on its way to meet and possibly exceed its energy goals. Her key findings were that environmental best practices (EBP) are most effectively adapted when market pressures engage corporations and their supply chains. “Networking, which often leads to the identification and capitalization of synergistic opportunities between various firms, is an important facilitator of a systematic adoption of EBP.” Selma decided that the best way forward in Morocco was to set up CISE, an association of producers and consumers of environmental services and technologies. Both sides play critical roles in CISE. The producers, by attracting more members from the industrial sectors, increase the spread of Morocco’s green programs. Consumers of these services help identify the technologies needed in the market, which help set priorities for producers and at the CISE incubator for environmental projects. CISE sees itself, eventually, as a bridge between academia and industry in that university facilities “serve as R&D labs for small and medium sized enterprises,” which in turn work with graduate and doctoral students to bring their innovations to market. After registering CISE in Morocco in June 2014, Selma reached out to her colleagues at Virginia Tech and found a professor who was trying to start an educational program with Morocco. After some discussions, they agreed to collaborate. Michael Mortimer, Director and Senior Fellow at the Center for Leadership in Global Sustainability (GLiGS) at Virginia Tech College of Natural Resources and Environment became that counterpart for CISE. Always on the lookout for broadening the school’s international ties, he was already developing programs in China, India, South Africa, Turkey, Indonesia, and now Morocco. When he saw a State Department request for proposal to fund a “Green Entrepreneurship” project in Morocco, the collaboration with CISE became a viable entry point for a joint proposal, which won the grant competition. CISE then engaged its stakeholders to identify the value chains in recycling and energy efficiency that appeared to be priorities. These included recycling of used oil, used tires, dangerous/toxic wastes, plastics, construction waste, and fish waste, with energy efficiency of construction materials also targeted. Requests for proposals were then sent to entrepreneurs throughout Morocco to identify strategies for how they would create green projects in these areas or others. Those whose proposals are chosen will receive funding and support from business coaches who will work with the entrepreneurs and monitor their progress. The coaches are professors working in entrepreneurship at HEM, the highest-rated business school in Morocco and a CISE partner. An interesting feature of the GLiGS program is that all graduate students must spend at least 10 days abroad conducting research. As Professor Mortimer said, it is a “marvelous opportunity” for students to learn about challenges in other countries and give back to the hosts by undertaking case studies or other small-scale projects. Since the Tech graduate students are professionals who have work experience, this means that they bring their expertise to bear on environmental and health-related issues in the host country. After, the international conference on climate change COP21 finished up its work in Paris last year, it passed the challenge of delivering global consensus on a way forward to COP22 — to be held in Morocco this coming November. And Morocco is relishing the challenge. The King has already appointed a senior-level task force to manage the logistics and agenda-building for COP22, and members have been holding meetings with their counterparts in many countries to move the agenda forward. Not content to just be a great host, Morocco, with the help of its partners, is ramping up its concrete commitments to reduce emissions through a variety of projects, which, in addition to the Virginia Tech-CISE partnership, are playing a role in promoting a sustainable green environment in Morocco. The World Bank, through several of its funding mechanisms, is supporting a major recycling project that aims to ramp up the rate of recycled materials from 5% today to 20% by 2022, while giving employment to waste-pickers and providing greatly improved working conditions including health care, access to a bank account, regular wages, and housing support. These projects, funded by donor organizations, demonstrate that Morocco is deeply engaged on its COP21 commitments as well as its energy use goals for 2020 and beyond. By partnering with fund sources, NGOs, and the private sector, Morocco is opening opportunities for entrepreneurs and workers to find new opportunities in “Green” Morocco. At a recent roundtable discussion in Washington, DC, The Honorable Nizar Baraka, former Minister of Finance and Economy, who serves as president of the Economic, Social, and Environmental Council (CESE) in Morocco, provided his analysis of the regionalization program being rolled out in Morocco, and how this is already changing the political space in the country. Mr. Baraka began by reviewing the CESE process for developing the first study of “the South” (the Saharan provinces), which included public hearings with testimony from some 1500 people as well as dozens of studies prepared by experts, which resulted in recommendations for extensive restructuring of local government and a robust economic development strategy. He explained that what is being done in the South is the beginning of “advanced regionalization” for all of Morocco. He believes this is part of the implementation of shared decision-making and devolution of power promised in the 2011 Constitution. Mr. Baraka emphasized that the credibility of regionalization will only become real when citizens participate in local decision-making that affects their daily lives. For example, the Parliament (Chamber of Deputies) is currently debating bills that give Civil Society the capacity to submit proposals and petitions directly to Parliament. There is great economic disparity among the regions in Morocco, he explained. For example, 52% of Morocco’s GDP is produced in four regions, while 53% of its doctors practice in two regions. Similarly, the rate of joblessness in the South is twice the national average. Baraka insists that the direct election of the region’s presidents (the highest locally elected officials), and the five-fold increase in budgets for regional development are strong incentives for citizens to be more involved in local affairs. So the CESE efforts have focused on how the government can create an environment for greater political responsiveness, and part of this campaign is a new economic development model for the region based on public-private partnerships. This includes large-scale investments in diversifying the economy, a new university focused on local needs, particular attention to conservation, and positioning the Sahara as a gateway to sub-Saharan Africa. The Sahara is well poised for economic growth. Its GDP is 60% higher than the national average, but some 30% of that is generated by government programs. So the strategy going forward is to deeply engage the private sector to increase investments and jobs. One critical target is to diversify the local economy while protecting the environment. 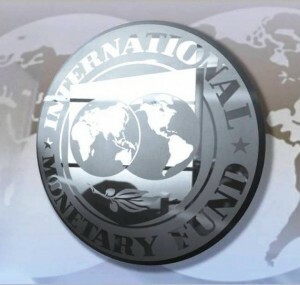 The focus is on empowering individuals to more fully participate in the economy; for example, raising the rate of women in the workforce from a woeful 14% to at least the national average of 25%, and doubling the number of employed youth..
Sectors slated for diversification include fishing, aquaculture, value-added farming, renewable energies, downstream phosphate industries, and eco-tourism. Plans have been finalized for a local university focusing on the needs of the region, including professional development of medical personnel, educators, managers, and lawyers; tourism and hospitality; and research and development supporting local industries. Given that the South’s literacy rate is already 20% higher than the national average, targeted efforts to build on their capabilities through focused programs of higher education should reap short and long term benefits, in terms of jobs and meeting future employer needs. Conserving the environment is also a prime consideration, especially well water, which is overused. Desalination, reuse of gray water, greater efficiency of energy utilization, treatment regulations for well water, a new dam, and a comprehensive campaign to preserve the eco-system in the Bay of Dakhla are the headline items in this effort. Looking at both the supply side, which pushes the growth of the local economy, and the demand side, which is the pull of market needs, Africa is the obvious market. Building a new expressway from Agadir to Dakhla onwards to Mauritania and Senegal, high speed digital connectivity, expanded port facilities, and the export of solar power along an interconnected grid are all in the plans for the next 10 years. It is anticipated that 75% of the targeted $10 billion of investment will come from national government public-private sector partnerships, while the regional governments will contribute the remaining 25%. The goal of these efforts is to create 120,000 jobs and cut unemployment in half. Mr. Baraka provided discussed other plans underway, which he believes will create a seismic shift in how citizens see their roles in relation to the government. Empowering proactive, engaged, and contributing citizens is the core mission of advanced regionalization, which will require a different mix of incentives in Morocco’s different regions. The most important impact, according to him, is that the political space in Morocco has changed forever. This is clear in viewing the evolving role of the media and civil society, debates in Parliament over legislative initiatives, and the pressure on political parties to restructure their governance to reflect issues and priorities. More importantly, advanced regionalization will continue this process and move Morocco towards its goal of a new social compact based on engagement and respect. As the debate continues about how to make development programs more impactful and inclusive, a new narrative on community development is being written in Morocco, borrowing from US Peace Corps and AmeriCorps models. It is called CorpsAfrica and is based on the assumption that Africans are quite able to undertake grassroots economic development in their own countries if given the tools and access to resources and support. In their first several months of training, the volunteers meet with a range of NGOs and government offices and agencies to learn about how to access resources and support for community-based projects. This includes multilateral donors, US agencies, and Moroccan government programs, as well as NGO and civil society organizations. The volunteers learn how to tap into existing networks to develop support for projects in rural areas. Among its current partners are the OCP Foundation, Amis Des Ecoles (rural education), Anarouz Social Enterprise (rural women’s economic development), Al Akhawayn University, the International Youth Foundation, and UNICEF Maroc. For more information on the volunteers, their projects and how this small initiative is becoming an engine to transform and empower communities, check out their link at www.corpsafrica.org. Will a gathering of 48 African leaders rejuvenate America’s leadership in Africa? It’s probably not on your calendar yet, but US media is finally focusing on the upcoming US-Africa Leaders Summit to be held in Washington, DC, August 4-6. Much of the coverage has been critical – not enough information being released, no personal meetings for each leader with the President, no final communiqué expected – and it is clearly a test of this Administration’s capability to pull off an extraordinary event and produce some substantial results in three days. While the media and policy analysts may have their concerns, it is interesting that there has been little reporting from Africa in the US accounts of the Summit. How the Administration is able to perform during the Summit, and more importantly, in following up on its outcomes, will affect US policy on the continent for another decade. If we do it right, that is, make few promises and fully meet the ones we do make, it might just widen the opportunities for the US to both become a more active participant in the region and build new partnerships, as we have with Morocco, that reinforce the process of economic and political reforms needed in most African countries. According to the schedule released by the White House, each day has a specific focus: Monday August 4 features six topical meetings at the National Academy of Sciences covering civil society, investing in women, investing health, Power Africa, food security, and combating wildlife trafficking. These meetings are by invitation only and are expected to generate working papers to guide US-Africa relations in the key sectors under discussion. Congress gets into the act with a 6 p.m. reception on Capitol Hill, limited to the heads of the delegations and three guests per country. A very helpful step that could be taken by the Senate to demonstrate its commitment to healthy US-Africa relations would be to confirm the 20 career US Ambassadors for Africa that are currently in limbo. Tuesday, August 5 highlights the “US-Africa Business Forum” to which CEOs of US companies are invited to meet with the heads of the Africa delegations and a high-ranking official to discuss mutual business interests. The day is being coordinated by the Department of Commerce and Bloomberg Philanthropies and Secretary Penny Pritzker and her team have been working the phones to ensure a strong US turnout. Recently, China replaced the US as the leading business partner in Africa, and the Forum is an opportunity for American companies to learn first-hand about why it makes sense to have Africa as a priority target market. Rather than leave discussing business solely to government representatives, many countries, from South Africa to Morocco, are sending business delegations to meet with their counterparts even though there are no formal events planned for these delegations. In true American style, this is being left up to the private sector in Washington, which is rolling out their best as the Corporate Council on Africa, US Chamber, Brookings, CSIS, the Atlantic Council, and many others are furiously vying for space and time to hold seminars, forums, side meetings, and exhibitions to attract participants from the US and African official and business delegations. After the White House dinner on Tuesday evening, US and African Leaders will convene at the State Department for three plenary sessions on Wednesday, August 5. The three topics: “Investing in Africa,” Peace and Regional Stability,” and “Governing for the Next Generation,” evolved from many discussions between the US and African representatives. These topics are linked by common threads: attracting investment to promote jobs that provide stability and support peace through employment for young people and supporting their inclusion in governance. Attention will also focus on the Young African Leaders Initiative (YALI), a program started by President Obama in 2010, which builds networks among leaders across Africa and brings many from Africa to visit, study, and learn in the US. Morocco is also on the agenda as it will host the upcoming Global Entrepreneurship Summit in November, and an announcement is expected on Wednesday. It is anticipated that a number of initiatives will be announced by President Obama in his final statement later that afternoon. To many observers, the tight control over the proceedings, limited access to events, maintaining the media center at the US Institute for Peace (USIP), and no final communiqué are signs that the Obama Administration wants to manage expectations so that no one expects a panacea to emerge out of six hours of discussions on Wednesday. Rather, friends at the State Department tell me that the targets are quite specific – mirroring the first day’s discussions at the National Academy of Sciences – what specific steps can the Administration take do in terms of women’s issues, health, food security, and controlling trafficking with Africa and US and African private sectors to build Africa’s capabilities to solve its problems. This is a theme that King Mohammed VI has repeated throughout his travels in Africa, “Africa is a great continent. It therefore has to take its destiny in its own hands. Africa is no longer a colonized continent. That is why Africa should learn to trust Africa.” While some may emphasize that Africa is the future, it is still made up of 54 distinct countries with national interests and regional concerns that may or may not be always be consistent with US interests. By not focusing on the big political red buttons and instead emphasizing reforms, human development, and business opportunities, the Obama Administration may have made the wise choice. The question lingers, will it be able to follow up, with Congress, on promises made? Jean AbiNader http://www.abinaderadvisoryservices.com/blog/wp-content/uploads/2018/05/AbiNaderLogo1-300x103.png Jean AbiNader2014-07-14 22:57:342014-07-14 22:57:34Africa is coming to Washington: How Will America Respond? The fragility of water resources and how it impacts energy and food are moving rapidly to the top of the world’s environmental agenda. This should come as no surprise. 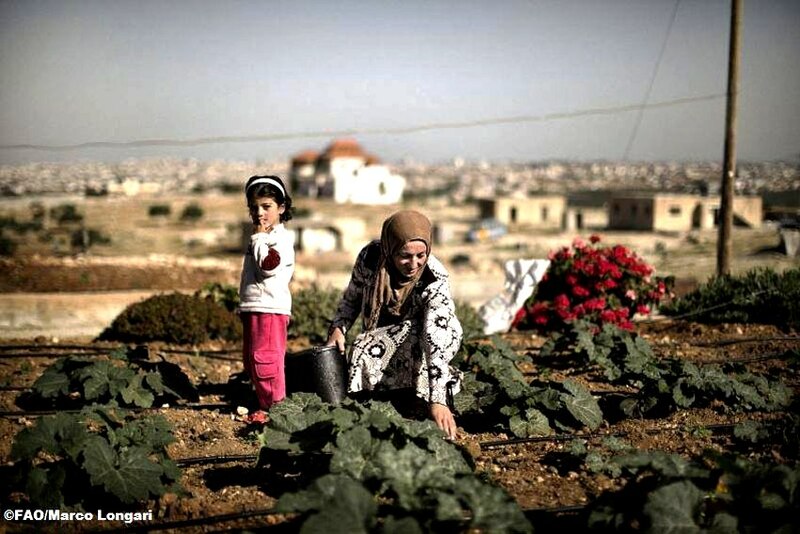 A key principle in understanding core issues in the Middle East is that all Arab societies, bar none, have evolved around maintaining water supplies and managing their relationship to food, land, and survival. This is not uncommon given that human habitats emerged in regions where water was plentiful, accessible, and provided the means to sustain basic food production, transportation, and oftentimes defensible settlements. 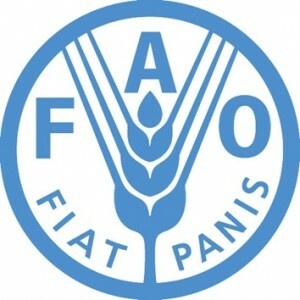 A recent article carried by Voice of America made note of a meeting of Agricultural Ministers and other top officials from the Middle East/North Africa (MENA) region in Rome at the UN Food and Agriculture Organization (FAO) to discuss the newly launched Regional Water Scarcity Initiative. One estimate “warns the availability of fresh water in the region could drop by 50 percent by 2050.” While the existing impression may be that this is more of a problem for the desert rich countries of the Gulf, the reality is that growing populations are depleting water resources throughout the region, with little prospect of replacing damaged, drained, and destroyed aquifers. The FAO reports that in the previous 40 years “per capita freshwater availability in Near East and North African countries plummeted by two-thirds.” Steduto says it’s a complex situation. “Several things are coming into play from the population [growth], but also climate change. So, we need to be ready to address all the challenges that will come and the region will face in the coming years,” he said. Cognizant of the need to view food, energy, and water as interrelated parts of the ecosystem, the IMF’s Research Department cooperated with New York University’s Center for Technology and Economic Development, and Morocco’s OCP Policy Center for an in-depth analysis of the “causes and socio-economic challenges of food price volatility” February 25-26 in Morocco. It is inevitable that Morocco has become a central player in the food-water-energy nexus policy discussion as it works to reconcile four overlapping conditions that shape its future: heavy reliance on imported energy, increased population and urban migration taxing local services, fluctuations in rainfall that have a significant impact on GDP, and the need to create employment opportunities at all levels. Timing is critical for reducing or ameliorating Morocco’s challenges in all these areas, and only a coordinated and integrated strategy will reduce dependency on imported fuels, increase capacity to service rapidly growing cities, continue to expand and enhance water management strategy, and generate jobs from the introduction of new and more efficient technologies across the food-energy-water sectors. Morocco is not waiting for a prescription to emerge from multinational organizations and think tanks. The Kingdom is reaching out to experts, analysts, practitioners, thought leaders, and a range of stakeholders to assess its assets and challenges and mobilize support for its grassroots and national strategies. Its 2020 national energy plan is already underway, making extensive investments in renewable energies. Morocco has pioneered two major agricultural plans that include the utilization of extensive water management technologies, as well as enhanced agricultural production technologies. And it is working with the European Bank for Reconstruction and Development (ERBD) to promote the use of small scale renewable energy products by consumers and small business. Overall, the integration of these efforts is a promising start to addressing the food-water-energy nexus. Originally posted at Morocco on the Move.